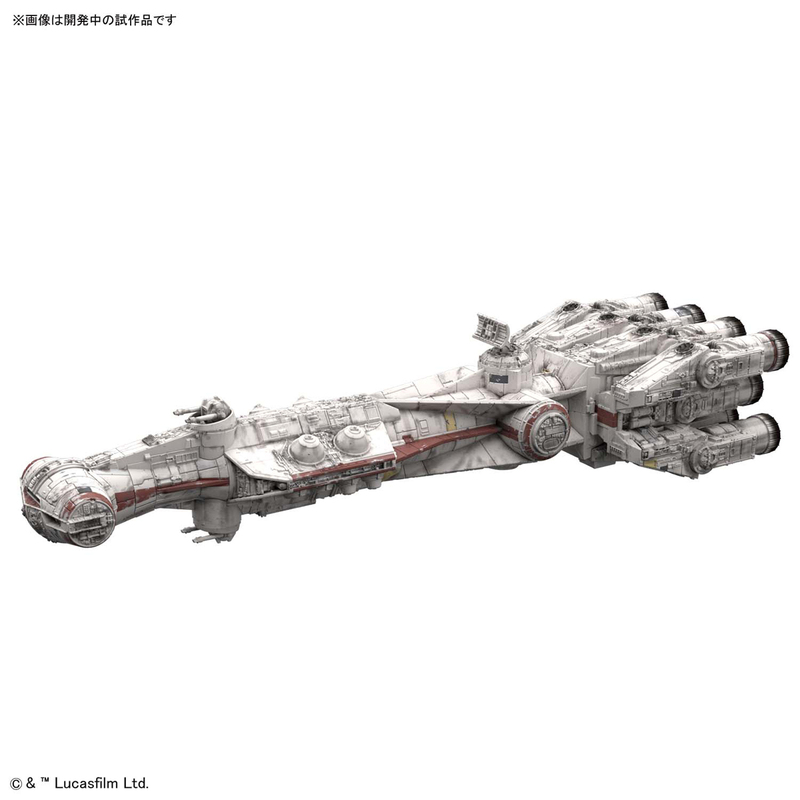 Bandai will release a 1:1000 scale Blockade Runner in November for their Vehicle Collection series. I'm rather excited to see this, since a year ago at the All-Japan Model Hobby Show I discussed this kit as a possibility with a Bandai rep. It will soon be a reality. I saw him again at the Summer Wonder Festival in Chiba and he let me hold the runners to take a close look myself. Very cool. Hm, if that tiny Star Destroyer was 1:10 000, then this might be palm size I am thinking. Hmmmmm, now that they have been working on this, I don't see why they wouldn't make a larger kit. I'd buy that. (My) kit box apperently doesn't include a guide for the sheet of decal stickers. I asked around and somebody linked to this pdf file, which includes the Bandai build instructions and the Bandai guide for applying the decals. The build instructions are printed on the inside of the box lid as all Vehicle Scale kits. The sticker placement is on one of the side panels though trying to get then to conform to the kit surface is impossible, better to source AM decals or mask and paint!